In my preparations for Thanksgiving, I’ve been doing quite a few crafts that I want to share with you. I’m going with a rustic gold theme, which shouldn’t really come as a surprise given my love of all things metallic and textured. This year, we’re just having my brother and his fiance for dinner which means I can bust out the AMAZING gold chargers I got at an estate sale since there are only four. I love them. They’re originally from Pier 1, but I’m pretty sure I paid pennies by getting them second hand. 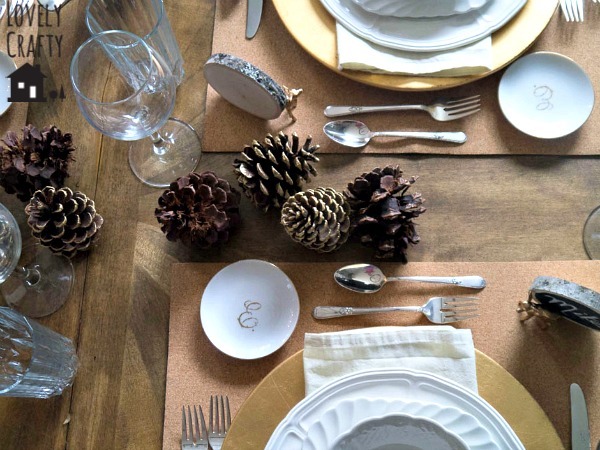 Gold leaf chargers require more than just a simple placemat, of course, and none of the ones I already had would do. Instead of fabric, I thought about using a natural material. I really got stuck on the idea of using thin wood slabs, but with the size and weight of the chargers, it would just be a little too over the top. 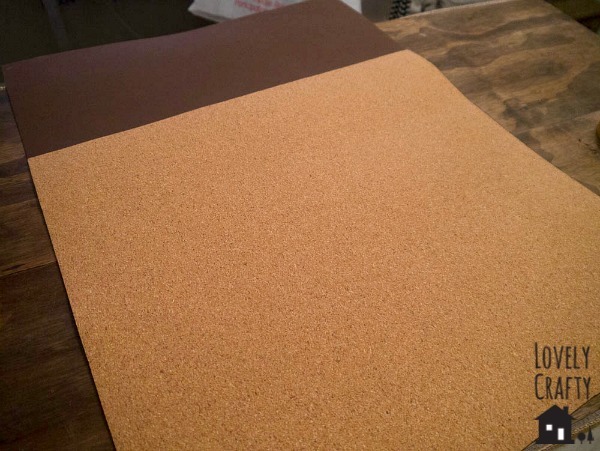 The next thing that came to mind were cork tiles, like for memo boards (not for flooring). I decided to take a look around a few craft stores to see what I could find. 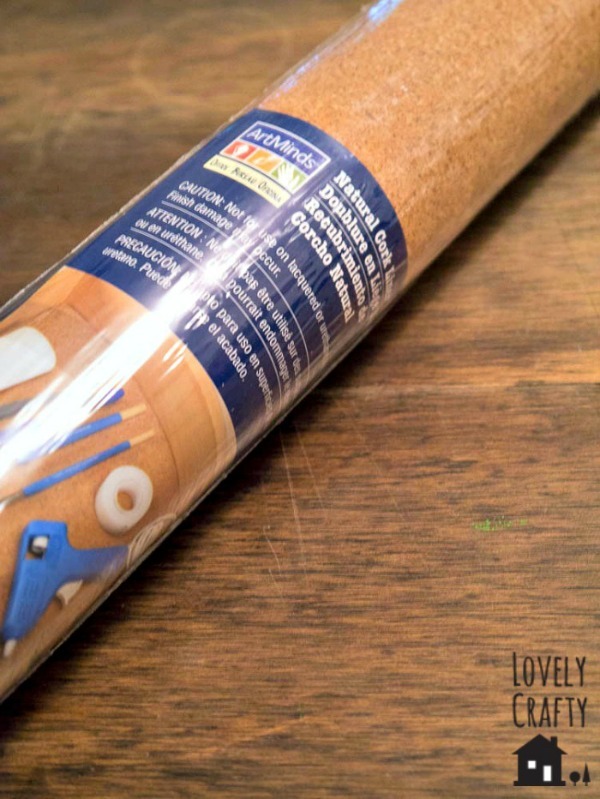 The standard cork tiles were not large enough, but I did see a roll of adhesive cork mat that I thought I could cut to a custom size. To “mount” the mats, I picked up 6 pieces of brown foam sheets from the kids crafts section. They were the same width as the roll (18″). 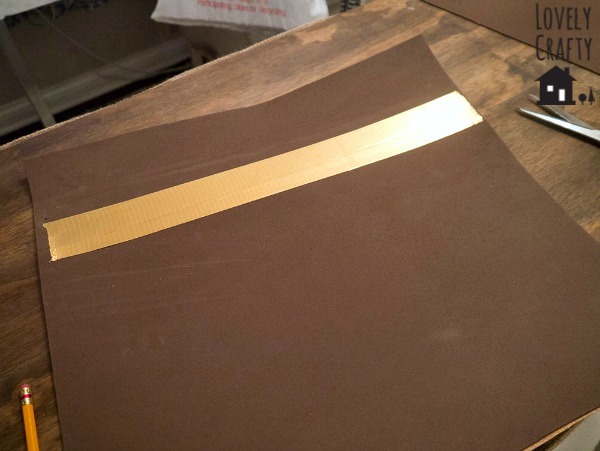 After unrolling the cork a bit and laying the charger on it, I decided 16.5″ was a good length. 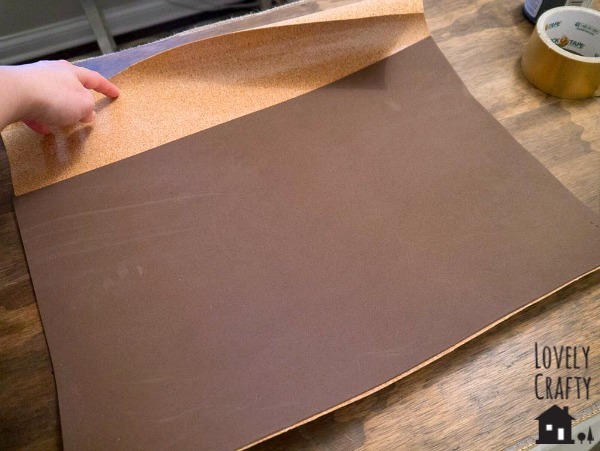 Once I cut my 4 pieces of cork to 16.5″ x 18″, I peeled off the paper backing and carefully laid one piece of foam on top. Just be patient and try to line up the edges – it doesn’t have to be perfect though. Trim all the edges with scissors. For extra support, I put a piece of duck tape over the crack on the back. I mean no one’s gonna inspect it, right? Now I can’t show you toooo many pictures because I still have more projects to share and the table to finish. 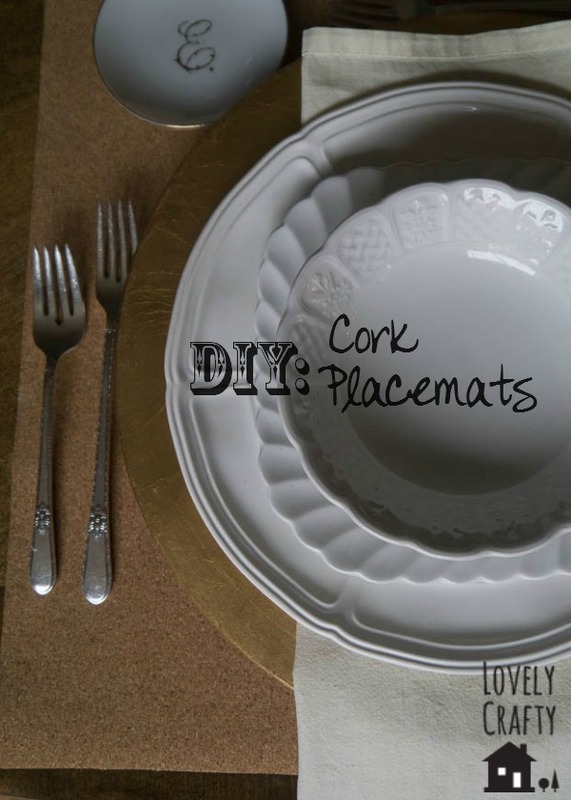 But I think the cork mats came out great and add wonderful texture to the table. What do you think?